One of the best parts of living right next to the ocean was having access to fresh seafood. 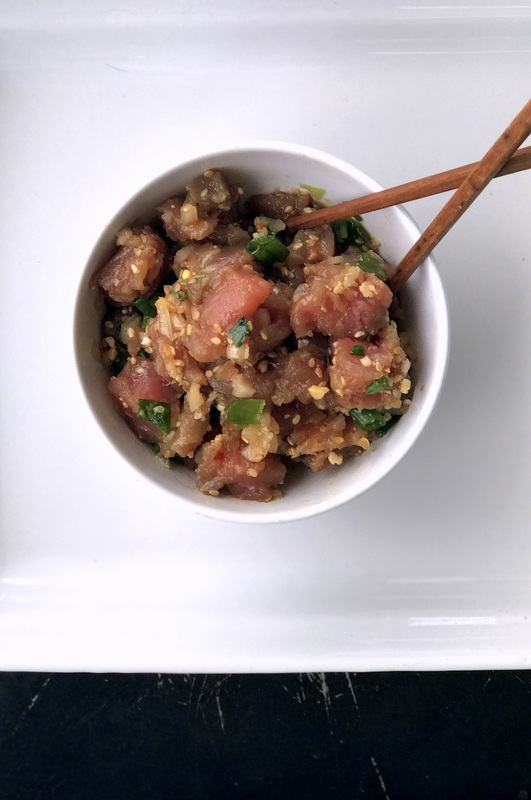 Even better- our previous proximity to Asia and the status as a pacific island lead towards all sorts of yumminess- specifically tons of sushi and poke! 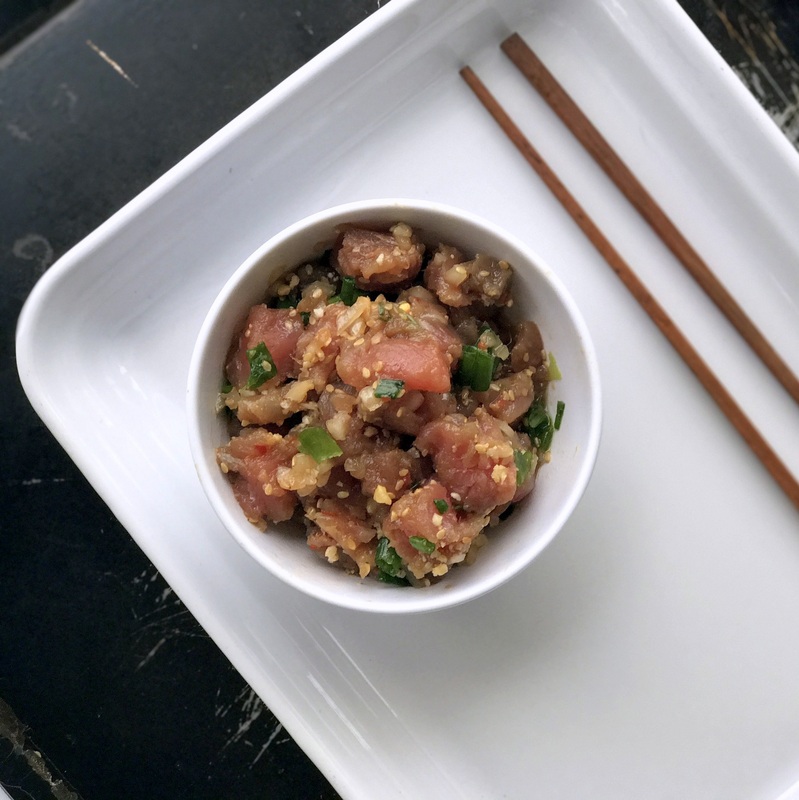 While we were still in Saipan (and had access to super cheap tuna so we could afford to experiment), we decided we needed to figure out how to make our own. 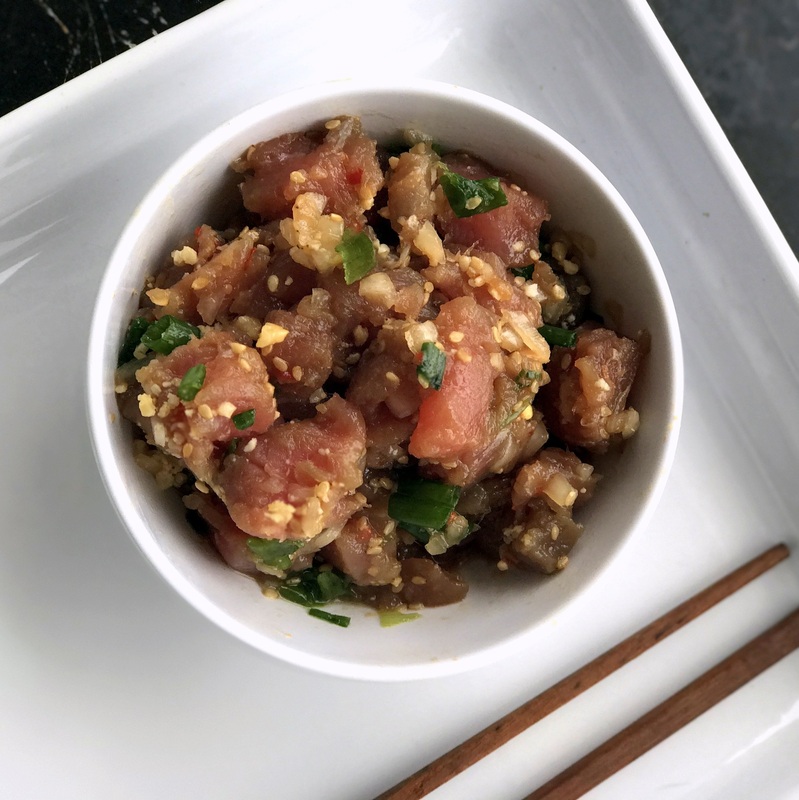 Honestly, I wrote this down so that I would remember exactly how to make yumminess that resembled my Saipan fave, Naked Fish tuna poke. But it really is so easy to make. DIRECTIONS Mix the soy sauce, sesame oil and garlic paste together. Add in onions and tuna. Chill. 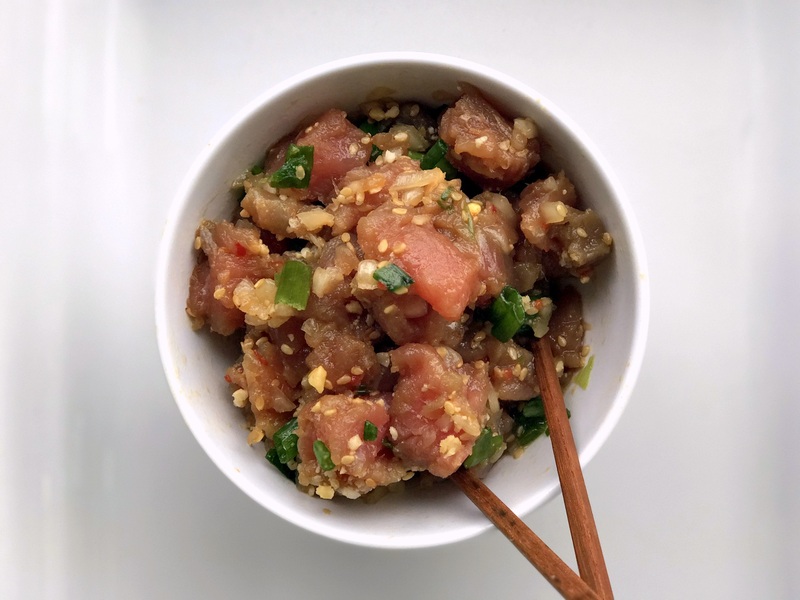 Add in sesame seeds, mix well. Finely chop 1/4 c cashews or macadamia nuts. Mix with 2 Tbsp of furikake. Layer poke over rice, sprinkle nut mixture on top, and serve.